The Hearts Filthy Lesson (Radio Edit)/I Am With Name (Album Version)/The Hearts Filthy Lesson (Alt. 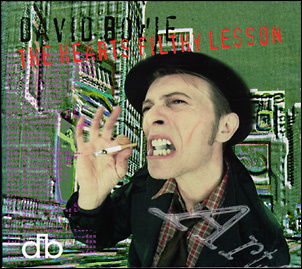 Mix)/The Hearts Filthy Lesson (Bowie Mix). Released with identical artwork and tracklisting in the EC, Australia (both Arista/BMG 74321 30338 2) and Japan (BMG/Victor BVCA-8806). 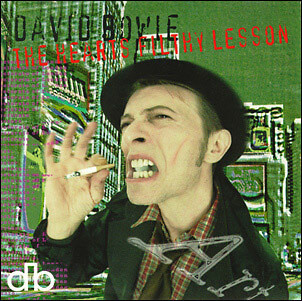 The Hearts Filthy Lesson (Radio Edit)/I Am With Name (Album Version). Shaped disc. 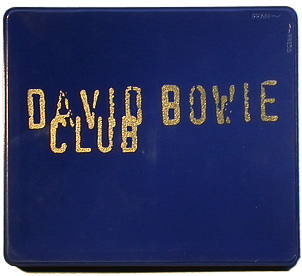 This disc was also available in a tin labelled David Bowie Club, semi-offially produced for the German fanclub meeting in Berlin, September 1995. The Hearts Filthy Lesson (LP Version)/The Hearts Filthy Lesson (Simenon Mix)/The Hearts Filthy Lesson (Alt. Mix)/Nothing To Be Desired. The Hearts Filthy Lesson (Edit)/The Hearts Filthy Lesson (Simenon Mix)/The Hearts Filthy Lesson (Alt. 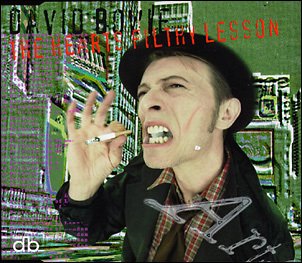 Mix)/The Hearts Filthy Lesson (LP Version). 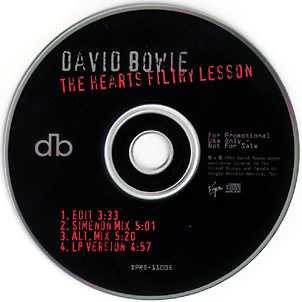 The Hearts Filthy Lesson (Edit)/The Hearts Filthy Lesson (Bowie Mix)/The Hearts Filthy Lesson (Alternate Mix)/The Hearts Filthy Lesson (Rubber Mix)/The Hearts Filthy Lesson (Simple Text Mix)/The Hearts Filthy Lesson (Filthy Mix). 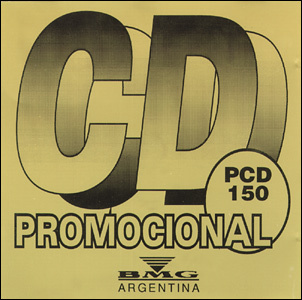 Not really a CD-single, but this Argentinean BMG sampler bundles all mixes but the Simenon/Good Karma Mix; the last two remixes are otherwise unavailable on CD. 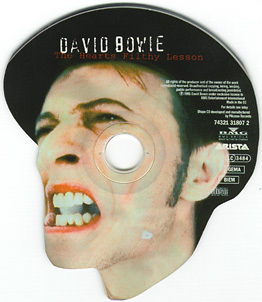 The Bowie Mix to Filthy Mix are labelled Club Mixes. 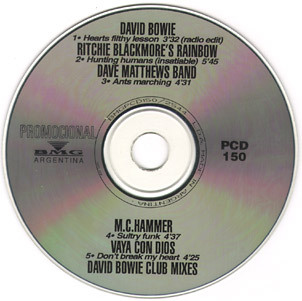 Other artists on this sampler are Ritchie Blackmore's Rainbow, Dave Matthews Band, MC Hammer and Vaya Con Dios.